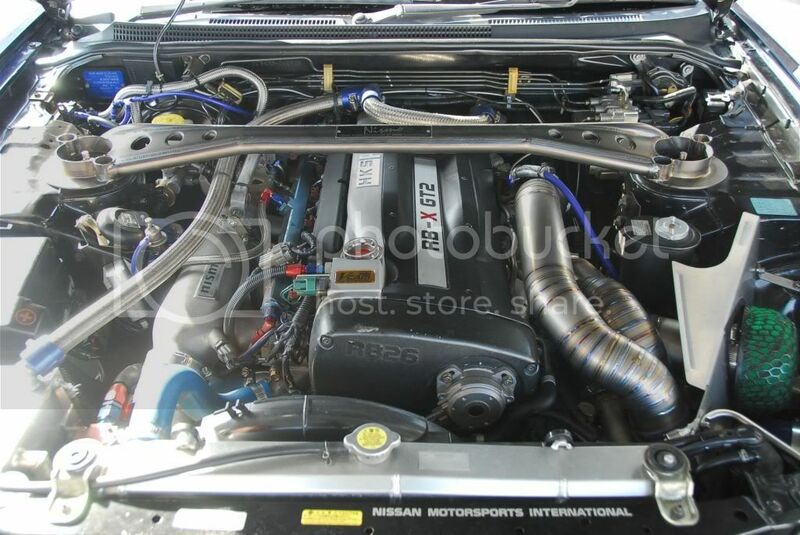 Titanium intercooler piping, something to consider? .::TopSky::. is a Nissan freak. 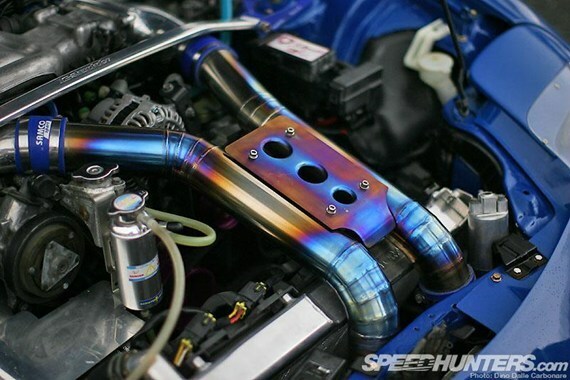 What do you think about titanium intercooler piping? Has anyone done it on RBs? Will it affect the performance of the car? I dont think it would change the performance vs any other material like for like...as in, same distances and length. Cars owned: Blue GTR with some white bits. Location: Hampshire, but Scottish through and through! Didnt Endless-R do these a good while back?? While there is no doubt it can look cool, I doubt there is anything to gain over some properly curved aluminium pipe. I can't imagine there would be any difference temperature/flow wise, and i'm not sure the weight saving would be significant compared to say an exhaust which is significantly lighter when titanium compared to stock or stainless (or so i'm led to believe). Endless-R will do them on a per-order basis, i doubt they keep stock of them. Carbon fibre would be more cost effective for mass production IMO. Would look just as good (in a different way of course), similar weight I'd imagine, maybe a little more. Carbon fibre piping? Never thought of it. I dont really like the RB-X matt j posted, but I love the look on the RX7. Last edited by .::TopSky::. ; 12th July 2012 at 12:30 AM..
My intake pipe from my Pod filter to the turbo is a 4" carbon pipe. BMW and many other companies have carbon Plenums and intake piping on their top models...Reasonably common now. HeavyDuty is glad everyone hates the R33. I would *think* the CF piping would transmit less heat to the charge air than any other metal material. Lol what would the possible performance advantage of titanium be for intake tubing?? Only thing I can think of is the ego boost from saying its titanium? Because aluminum is lighter and if polished will look better too. Now CF I could get behind and would maybe have an inconsequential performance advantage but would look nicer. Aluminium weights less than titanium, so why choose titanium? An aluminium/magnesium alloy would be best. Please ensure you post your thread in the most relevant section. I'd say aluminium would trump titanium on the basis of weight and smoother curves. A composite material would potentially be better again.